LIVING without proper sleep, food and television is difficult for most teenagers and Toolooa State High School student Kihya Woodham is no exception. Kihya, 12, was one of many Toolooa high students who just completed the 40 Hour Famine fundraiser for charity World Vision. She said it gave her a new perspective on what it was like to live without the things we take for granted in Australia. 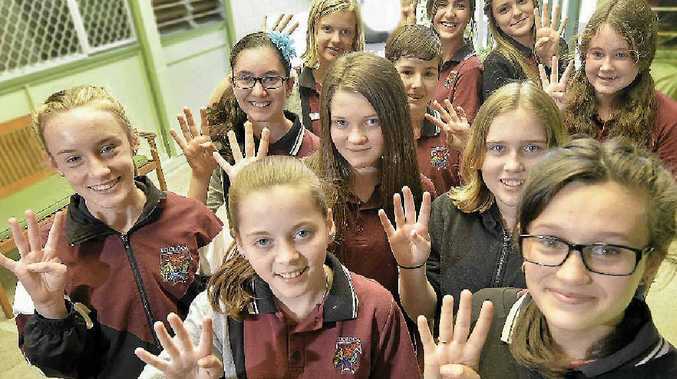 "We have all these expensive things and some people don't even have the simplest things," the Year 8 student said. Fellow student Laura Macdonald, 15, had to endure her brother playing console games outside her door during the famine. She also missed out on her favourite TV shows. The Year 10 student said in the future she'd like to see a world where everyone was treated equally and educated, with access to heating, nutritious food and beds. Amy Crook, 12, said people often didn't realise how important something was until it was gone. "I realised how much you really need food," the Year 8 student said.